Emotional gaming: a contradiction in terms? Games are capable of yanking the heart strings, but can they truly match the achievements of film and literature? Also: what Pokemon and Heavy Rain have in common. 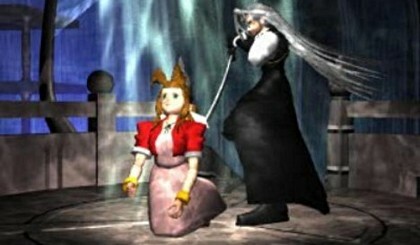 Q: “Can games stir the emotions like great films, books and music?” A: “Why yes they can, good sir, I cried like a baby when Aeris/Agro/The Boss died, and damn you for ever letting the contrary thought cross your mind.” Such tends to be the outcome of any debate as to our favourite past-time’s ability to bring tears to the eyes, or a lump to the throat, or a smile to the face. That games have the capacity for (and moreover a right to) the same emotional weight as rival artforms is a vociferously held, vociferously defended truth among specialist writers – so much so, in this one’s opinion, that the medium’s most basic characteristic – and limitation – is in danger of being overlooked. 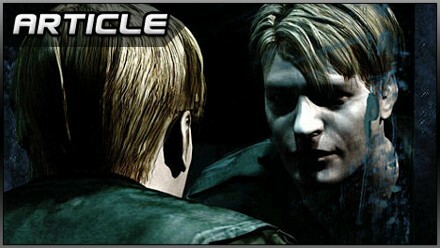 Cards on the table time: I don’t think a videogame can consistently reach the same heights of affect as a great film or novel, and not because the majority of titles operate, to paraphrase Ubisoft’s Jan-Erik Sjovall, in the realm of “violence and fear”, of exit wounds and peak-a-boo scares. Brute antagonism is rather over-represented in culture as a whole, after all, in blockbusters like Avatar and the page-turners of Dan Brown, and to single out gaming on this count is simply to pass the buck. The problem isn’t that of some mysterious predisposition towards certain, baser subject matters, but one of function. That is, “function” is the problem. Almost by definition, games are founded on the carrying-out of functions, on rulesets that distinguish between correct or incorrect actions of one kind or another. Many see this as a liberating difference, enabling a new variety of intellectual activity, fresh levels of engagement. I agree – but that liberation is also a restriction. That you can beat or not beat a game cramps its emotive potential. To illustrate this argument, pick, oh, any full-blown statistics-driven role-player released in the past decade, anything halfway redolent of the Final Fantasy series, and think of the final battle. To be more exact, think of just before the final battle, the antechamber to the place of reckoning. Noooo, Sephiroth. She was my best healer. It’s customary at this point to let the player save the game and fiddle with equipment slots and combat roles, tweak the Junction Grid and redistribute Materia and so forth. To reach the last threshold, your band of ragtag world-savers will presumably have had to overcome many elite minions and traps, suffering horrendous injuries and contracting obscure magical ailments. A pit stop is the least the designers can offer. But there’s something uneasy about this setup, despite its familiarity, and that uneasy something is this: a moment of dramatic significance – perhaps the moment of dramatic significance – coincides with a return to the means-and-ends-focussed. As protagonist, you’re merely a load screen away from avenging your fallen love, or cleansing the planet, or recovering the Queen’s Soul Gem, or whatever form of catharsis is at stake, but it’s here that the Law of HP obliges you to step back from the character and his or her unresolved issues, flick open the menu screen and work out which Dark Fire element goes best with which pair of Mythril Y-fronts. The average RPG is riddled with these falling-offs, moments in which the administration and accounting of gameplay take precedence over the play of passions and the articulation of the plot. How many times, when asked to save some village damsel from imminent destruction (‘like, right now, Chosen One, the dragon’s got her leg in its mouth right now‘) have you strolled off first to relieve nearby pots of healing potions, or paused to craft a new battleaxe for your Barbarian? 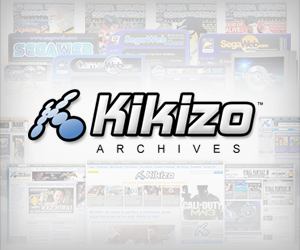 Posted in Features, Spotlight, and tagged with art, console, culture, editorial, opinion, PC.